In the past decade philosophers and political theorists have increasingly pondered the role of religion in a modern secular society, and of the possible value of religion as a resource for contemporary thinking. The global resurgence of a new religious politics – graphically symbolised by 9/11 - has added a new urgency to this project; how is religion to be integrated, and if necessary contested, in such a time? As this study shows, the desire to integrate religion into a ‘progressive’ politics is not new. Providing a comprehensive analysis of the Common Wealth movement, this work seeks to bring together for the first time the religious and political commitments of four of the leading thinkers in the movement, bringing to light the significance of the relationships between them. This study examines at four interwar British radicals – the philosopher John Macmurray, the novelist and sexual theorist Kenneth Ingram, the Science Fiction writer Olaf Stapledon, and the Liberal M.P. 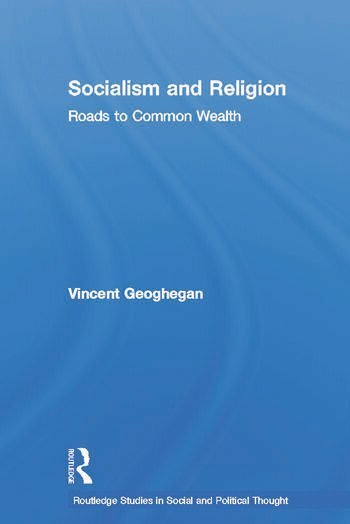 Richard Acland – and examines their attempts to develop a socialism that whilst defending the achievements of the secular age was also sensitive to the virtues of religious traditions. Thus it considers Macmurray’s attempt to draw on the seemingly antagonistic traditions of Marxism and Christianity, Ingram’s long struggle to develop a Christian response to ‘deviant’ sexual behaviour, Stapledon’s exploration of a non-Christian religious spirit, and Acland’s journey from liberal atheist to Christian socialist. It then follows the activities of all four in the radical political movement founded by Acland in the midst of the Second World War, Common Wealth, particularly focusing on the positions they took in the serious battles over the function of religion that convulsed the leadership of this body. This work will be of great interest to scholars of political theory, religious studies, social and political thought. Vincent Geoghegan is Professor of Political Theory at Queen’s University Belfast.